Take the worry out of recruiting, hiring and staffing! Although our team of specialists can handle almost anything virtually, often there’s still a need to hire in-house staff. Instead of doing all of the work yourself, why not let us do it for you? 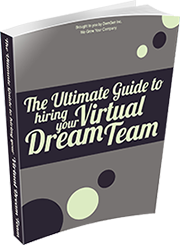 Trust our recruitment specialist, Heidi Winter to build your dream team. With a 25-year recruiting background for Fortune 500 companies, she is responsible for finding the top talent in North America for DemGen and our clients. We guarantee that if your full-time hire doesn’t work out in the first 3 months, we will refill the position for you, free of charge!